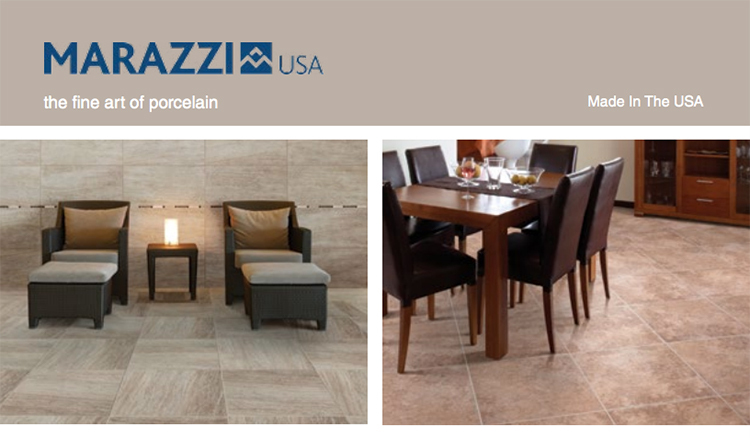 Welcome to our information series on tile. The industry has a very detailed way to specify tile. In the hope that we may share a common dialog, we are sharing this terminology to help you to allow us to help you better, and faster than ever before. Used in both wall tile and floor tile applications. The color and pattern are only on the surface of the tile. Come in either glazed or unglazed surfaces. Glazed surfaces are like glass and are very slippery when wet, so they are best used on walls. Glazed ceramic tiles are even more susceptible to cracking than unglazed ceramic. The primary ingredient of true porcelain tile finely ground sand that has been mixed with a more refined and finely purified clay. The process involves high pressure and extremely high temperatures, with an end result being a very dense, non-porous tile with all the qualities of a glazed ceramic. Because of its density special tools (for example a wet saw) are required for cutting or shaping. Most of the wood look tile is porcelain with a textured finish that can look very natural if tight, color matched grout lines are used. (Never use wood tile next to real wood tile). HD or High Definition tile are made using high definition pictures of actual marble and granite, and can often look like a natural tile, but at a much lower cost and easier installation process. Usually sold by the sheet, the set or if 3x6 or larger by the piece. Used primarily as an accent or backsplash. Floor rated glass is rare and higher price. Cutting glass tile can be difficult, special blades and processes are needed. Sheets can be used to create a stripe or band. A 12x12 sheet may be split into 2î, 3î, 4î or 6î strips to create a stripe depending on the pattern. Always use an installer who is familiar with and has the tools to work with glass tile. Usually sold by the piece. Used for floor or wall tile. The natural holes in marble may come as unfilled or honed and filled. Gauged vs un-gauged: Natural stone, due to clefting, may not be the same thickness on all four sides (un-gauged) and can result in lippage if not laid correctly. Gauged stone is ground down to produce a more uniform thickness on all four edges, requiring less effort to set due to is uniformity. Cross Cut (with the grain)-a process in which the stone slab is sliced at a 90-degree angle. It shows a cross section of the veins and layers in the stone block. Vein Cut (the opposite of cross cut)-a process in which the vein in the stone is shown as a well-defined parallel linear pattern. Marbles are much softer than granites and are most likely to stain or etch. Split faced tile can be used to clad a non-water wall without grout. It can be much more difficult to keep clean as a backsplash in kitchens. Tiles from different cartons should be mixed before laying to avoid splotches of like tiles. Lot numbers refer to a particular run of tile. Different lot numbers may not match. Tiles larger than 18x18 require a larger wet saw and are more difficult to handle. There are a few really large 24x36 or 24x48 tiles. Nominal size-this size measurement refers to the size of the tile before it was fired. A rectified tile is defined as a tile that has had all edges finished mechanically to a precise cut for uniform tile dimensions even after the firing process (always a porcelain tile). Usually sold by the sheet. Usually sold by the each. Mostly sold as a commercial product. Used as a transition between wall tile and floor tile creating a slight curve. The degree to which a tiled surface will withstand friction and foot traffic wear. This is measured using an abrasion test and classifies tiles from 1 to 5 in terms of the type of applications they are suited to (see PEI Grades). The wear rating of the tile has little to do with the quality or price, only durability. Some of the most expensive and luxurious tiles in the world rate only a 1 or a 2. This scale, which was established by Porcelain Enamel Institute, is meant to assist the consumer to determine the best tiles for purchase. By using the scale, they will also find out the suitability of tiles for specific locations. The PEI rating will indicate the hardness of tiles and about the ratings of floor. Within each style, and even within each production run, color shade can vary to differing degrees between each tile. While many products have little to no variation, there are options that display a moderate to dramatic range of variation. Each is a stylistic choice. As recent advances in technology have allowed for increased flexibility in color variation between tiles, a scale has been introduced to communicate the degree of variation intended. The degree of shade variation expresses the level of uniformity of color between the tiles in the series. This information can be found in the series information. Always check single tile samples to see what type of variation there will be. When dealing with a V2-V4 variation, the installer should never just lay the tiles as they come out of the carton. The pieces within several cartons should be mixed and placed at random. Check to show customers a picture of several tiles in the series so that it is not assumed that all tiles will be like the sample. 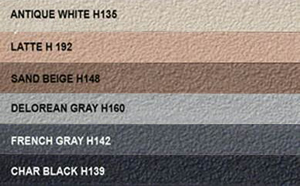 Check grout color against several of the variations for the desired look. V1: UNIFORM APPEARANCE - Differences among pieces from the same production run are minimal. V2: SLIGHT VARIATION - Clearly distinguishable differences in texture and/or pattern with similar colors. V3: MODERATE VARIATION - While the colors present on a single piece of tile will be indicative of the colors to be expected on the other tiles, the amount of colors on each piece will vary significantly. V4: SUBSTANTIAL VARIATION - Random color differences from tile to tile, so that one tile may have totally different colors from that on other tiles. Thus, the final installation will be unique. These are rustic look natural stone; 3/4î tiles are tumbled and then sliced in 1/2. Tumbled material is not designed to be measured in exact dimension. This surface is achieved through the use of steel brushing under the polishing wheels, achieving a slightly textured surface. This unique surface is achieved by a firing process that includes mineral salts to give glass a pearlized appearance. This unique surface is made up of tiny flakes that are swirled in the glass and fired, creating a shimmer effect. For Ceramic - a metallic finish is applied to the surface of the tile (check for durability in wet areas). This surface is a mixture of different glass colors swirled into the base color, creating various depths of hue and color. This surface is made through a man-made splitting techniques, resembling the natural cleft finish; never grouted; never should be used in wet areas. Has 90-degree edges - look best with a very small grout line. This gives a smoother, more sophisticated and continuous look to the room overall. 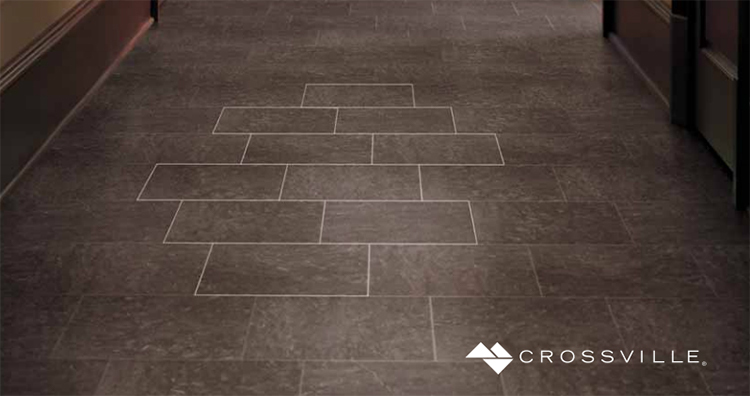 These are chipped or rustic - use a wider grout line to accommodate unevenness in floors. These tiles have a slight bevel on all four sides. Either on the long side or the short side. Can be used for floor molding to provide a cleaner, easily cleanable transition on a wall that adjoins a tile floor (particular if door jambs and windows are a different color from the vanities. A substance used for bonding tile to surfaces. Other common names thin set, glue, mud, mastic, mortar, and paste. Comes in primarily black or white. Other common names thinset, glue, mud, mastic, mortar, and paste. Most difficult to use and takes longest to cure. It must be mixed. Premix grout is always un-sanded, stain proof and never needs sealing. Penetrating Sealer is absorbed into the tile forming a stain resistant barrier just below the surface of the tile. In general, they do not change the look, color or appearance of the tile. As a general rule, cement grout needs to have a sealer applied. Approximately 5-7 years on standard interior floors to prevent stains and discoloration over time. Used to level a floor prior to laying tile (which needs a level surface). The refers to an area on the lower part walls that is covered in a material like stone, porcelain or ceramic tile. If it is the same color as the floor tile, it can make an area feel larger. Vanity backsplash height (usually around 36-38î), 42î, 54î, 60î or even 72î. Take into consideration the other components of the room: height of ceiling, window heights, knee wall heights, etc. These provide a 3 dimensional trim. When a decorative straight trim is provided to separate different sizes or colors of tile, often 3/8î,1/2î or 3/4î wide and 6î or 12î long. This is a condition where one edge of a tile is higher than the adjacent edges, giving the finished surface an uneven appearance. This may be due to the tile itself (low cost natural stone) or to how it is installed. This is a term used to define the excess tiles that may be required to factor in cuts and breakage. For simple patterns (straight set) this is 10% of the quantity required. However, if the installation is complicated or involves a lot of cutting or a very large tile is being used, the amount of wastage may need to be increased to 20% or even more. It is important to factor in sufficient wastage when the tile quantity is determined because you may not be able to get tiles from the same lot later, or the tile may have been discontinued. Use a straight set or diagonal on the floor, then use the same tile on the wall possibly changing the pattern or size, but keeping the same color. Do not run shower tile to the ceiling unless it is in an alcove to the side. Running it to the ceiling will give the room an unbalanced look. Keep it about 9-12î from the ceiling in an 8í room. Use bullnose tile as a floor molding The busier the tile, the less busy the layout should be. Even something as simple as off set-will it be 1/2, 1/3 or random. Will it be parallel, perpendicular to the tub/shower? If it is diagonal, which way in relation to the tub/shower? This is a drawing, not just verbiage. Places to obtain more ideas.